Madagascar is known for its unique natural features, but traveling between dispersed highlights can be tricky, especially on limited time. 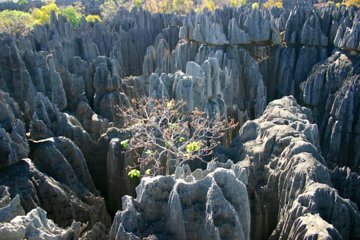 Discover 2 of the island’s most iconic attractions, the Tsingy de Bemaraha National Park and Avenue of the Baobabs, in just 3 days, on a round-trip tour from Morondava. Travel along unpaved trails with ease via 4-wheel drive, allowing swift and easy access to remote locations. 6am pickup from Morondava hotel. Departure flexible based on weather and timing preferences.